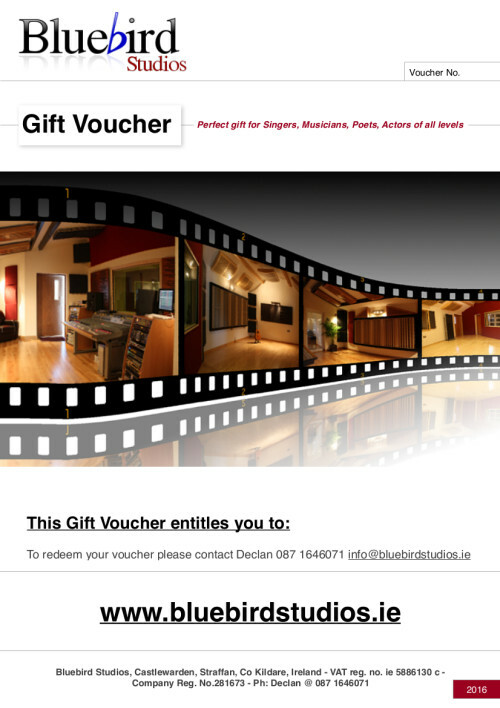 Bluebird Studios Gift voucher two hours is the most popular choice of voucher. Here are some guidelines on what you can achieve with this voucher. Consider the following to be based on averages. Aim for either 2 solo performances or one with a more complex arrangement. It may be worth noting that doing the 2 songs you should factor in more time for editing and mixing. A common breakdown would be 1 hour 20 recording and 40 minutes finally mixing. 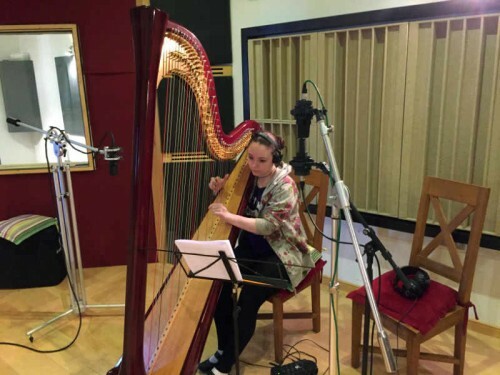 Suitable for singers who want to get up to 4 songs recorded professionally with backing tracks. Usually I would do many takes on the scripts and combine the best performances to get the best Voice Reel as possible. Please allow time for this process. Typically you could spend 120 minutes recording and 40 minutes editing. The vouchers can be used against any studio product offering. The above is just an example of some of the things you can do with the vouchers.